Your success in Math only a phone call away! Your Success in Mathematics starts here! 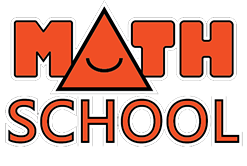 For over three decades Math School helped thousands of students achieve academic success, gain confidence in Mathematics and other school subjects, and stay on top of their academic scores. Our experienced tutors work individually with each and every student to ensure academic success! Whether your child finds math at school too challenging or they simply want to stay ahead of the game, our remedial/regular math program will provide the support they need to develop their understanding of key concepts and enhance their skills by learning various strategies. Our highly experienced tutors will work with your child individually to help them succeed. Take your math skills to the next level! Our enrichment program will provide your child with challenge beyond what they may receive at school. Our enrichment program not only covers many curriculum expectations but also encourages students to develop their critical thinking and logical reasoning and to apply their skills in different contexts. At Math School, we understand each child progresses at their own pace and often have different needs. We have created a program which is flexible and adaptable to suit each child which will allow them to learn at their own pace. Ensure your child is readily equipped with a clear understanding of mathematical concepts and has the necessary academic skills required for success in every grade of high school. Our program not only covers the curriculum expectations but teaches students effective strategies, critical thinking and logical reasoning – vital skills required for academic success. At Math School, we recognize the need to have a comprehensive and broad education. We also offer tutoring in the following subject areas: science, physics, chemistry, biology, computer science and media and visual arts. Science, Languages, Arts and more..